It can be difficult to find time to effectively manage a company’s social media accounts. Even if you have a whole team dedicated to digital marketing, social media can quickly become overwhelming. It’s especially hard when your marketing team is small – or just you! In this free guide, we’ll help you prioritize your social media management, no matter the size of your team or amount of time you have to spend on it. 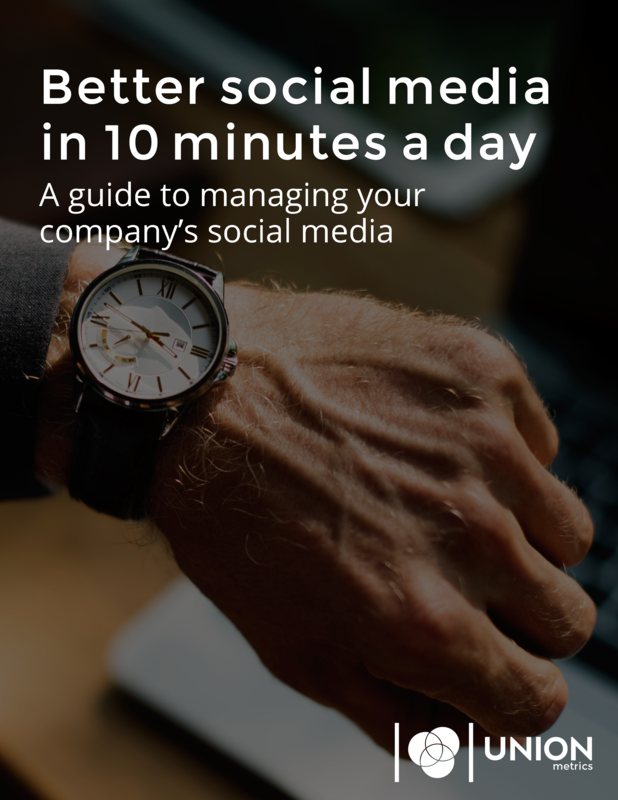 The guide includes a simple checklist to help you run your company’s social media accounts in as little as just 10 minutes a day. Learn what tasks are most important, how to focus on the activities that have the biggest impact, and how you can take advantage of any extra time. Just fill out this form to download our free guide.